Description : Cirkus Budimpesta (Circus Budapest). Premiere (literal translation of the Serbian title), the 1964 Hungarian circus poster announcing (in Serbian) a performance to take place in Karadjordje's Park in Belgrade, Serbia on June 5, 1964. 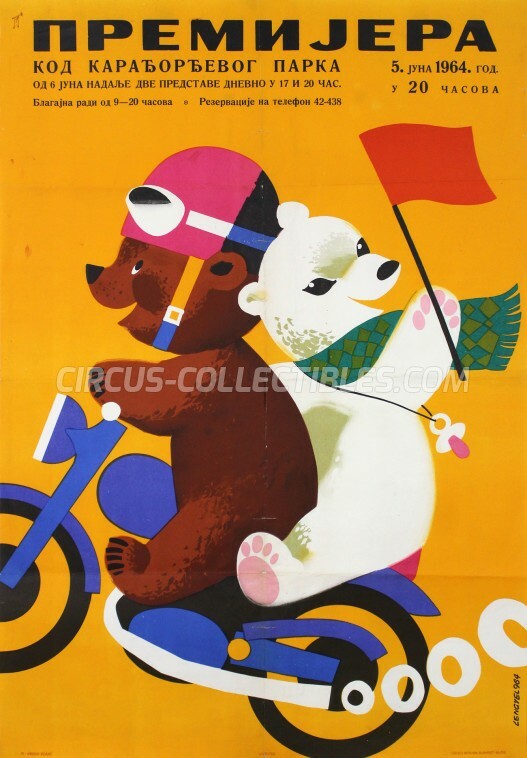 This poster features Sándor Lengyel art of two bears on a motorcycle.